A Rose a Day - The Adventures of Ozzie and Harriet - S14E2 - A Rose a Day (IN COLOR)- Harriet starts receiving a rose every day from a secret admirer. The Prowler - The Adventures of Ozzie and Harriet - S14E5 - The Prowler - Ozzie attempts to get out of a bridge game with the neighbors by pretending to go fishing. Kris & the Queen - The Adventures of Ozzie and Harriet - S14E3 - Kris & the Queen - Ricky attempts to patch up a spat between Wally and Ginger only to have it backfire. A Rose a Day - The Adventures of Ozzie and Harriet - S14E2 - A Rose a Day - Harriet starts receiving a rose every day from a secret admirer. A Painting from the Past - The Adventures of Ozzie and Harriet - S13E27 - A Painting from the Past - Ricky brings home a painting but Kris gets upset when she learns he did it a few years before for a former galpal. Desk Photo - The Adventures of Ozzie and Harriet - S13E24 - Desk Photo - Kris wants Ricky to display her picture on his office desk. Breakfast For Harriet - The Adventures of Ozzie and Harriet - S13e23 - Breakfast For Harriet - Harriet comes down with a bad cold so loving husband Ozzie gives up his golf date to serve her breakfast in bed. The Petition - The Adventures of Ozzie and Harriet - S13E18 - The Petition - David and Ricky gets suspicious of a client and decide to investigate her. The Ballerina - The Adventures of Ozzie and Harriet - S13E8 - The Ballerina - Kris comes to the aid of members of Rickys frat whove agreed to do a comic ballet for the womens club benefit. The Pennies - The Adventures of Ozzie and Harriet - S13E7 - The Pennies - The neighborhood kids entrust Ozzie with their jar of pennies but he decides to borrow it for an evening of poker unaware that the jar contains a valuable coin collection. A Letter About Harriet - The Adventures of Ozzie and Harriet - S12E25 - A Letter About Harriet - Harriet and Clara get their husbands to enter a newspaper contest entitled "Why I Love My Wife." The Uniforms - The Adventures of Ozzie and Harriet - S12E20 - The Uniforms - Ozzie and Joe decide to impress their wives by wearing their old service uniforms to an Armed Services dance. The Blue Moose - The Adventures of Ozzie and Harriet - S12e6 - The Blue Moose - Rickys frat and a rival frat have a bet regarding possession of a blue moose trophy. Secret Agent - The Adventures of Ozzie and Harriet - S12E2 - Secret Agent - After receiving some strange messages and observing her husbands strange behavior, June concludes that David is working undercover for the FBI. Roadside Courtesy - The Adventures of Ozzie and Harriet - S11E16 - Roadside Courtesy - When Harriet and Clara are late for dinner, Ozzie and Joe decide to turn the situation into a practical joke. June and The Great Outdoors - The Adventures of Ozzie and Harriet - S11E14 - June and The Great Outdoors - David wants to test a camper truck hed like to buy but wife Junes idea of roughing it is to stay at the Holliday Inn. The Tigers Go to a Dance - The Adventures of Ozzie and Harriet - S11E6 - The Tigers Go to a Dance - Harriet accepts the chairmanship of her womens clubs annual childrens dance. Trip To Mexico - The Adventures of Ozzie and Harriet - S11E5 - Trip To Mexico - Ozzie and Harriet plan a trip down to Mexico. Then the Randolphs announce that they want to come along too. A Lamp for Dave and June - The Adventures of Ozzie and Harriet - S10E16 - A Lamp for Dave and June - June badly wants a new lamp for their apartment but David says they dont have enough money in their budget. 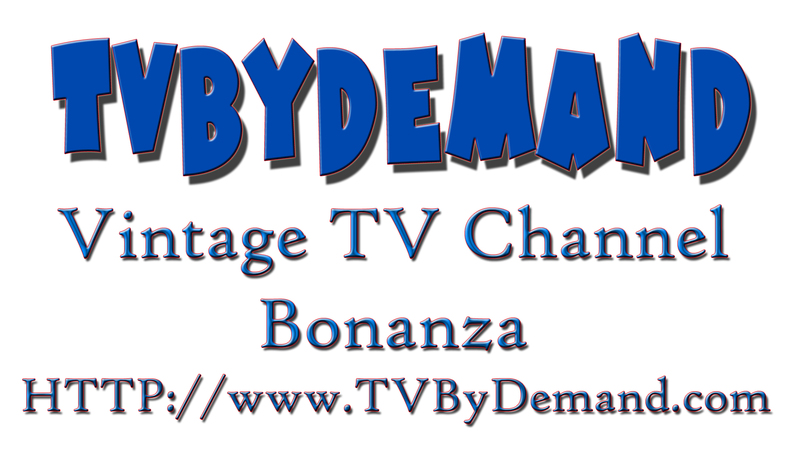 Backyard Pet Show - The Adventures of Ozzie and Harriet - S10E13 - Backyard Pet Show - Ozzie is selected to judge a neighborhood pet show. The Barking Dog - The Adventures of Ozzie and Harriet - S10E8 - The Barking Dog - Ozzie is upset when a loud barking dog interrupts their peaceful fishing trip. Ten For the Tigers - The Adventures of Ozzie and Harriet - S10E6 - Ten For the Tigers - A neighborhood youth club calling themselves the Tigers asks for Ozzies help in fund raising for a secret project. The Newlyweds Get Settled - The Adventures of Ozzie and Harriet - S10E3 - The Newlyweds Get Settled - While David and bride June are on their honeymoon, Harriet decides to re-decorate their apartment. Built-In TV Set - The Adventures of Ozzie and Harriet - S9E33 - Built-In TV Set - Ozzie wants to get an old, out-dated television set so he can install the insides into his bedroom wall. Daves Golf Story - The Adventures of Ozzie and Harriet - S9E32 - Daves Golf Story - David scores a hole-in-one on the golf course, but when the story hits the campus newspaper its pal Wally who did the deed. Manly Arts - The Adventures of Ozzie and Harriet - S9E27 - Manly Arts - Ozzie, Ricky, and David disagree over which form of self-defense is best and they might get a chance to find out when they take jobs as guards for a detective agency. Mr. Kellys Important Papers - The Adventures of Ozzie and Harriet - S9E23 - Mr. Kellys Important Papers - In Davids absence, Ozzie and Harriet decide to deliver some important papers for his boss. A Piano for the Fraternity - The Adventures of Ozzie and Harriet - S9E13 - A Piano for the Fraternity - David and Rickys fraternity decides to throw a Christmas party but theres no piano to be found. Girl in the Emporium - The Adventures of Ozzie and Harriet - S9E12 - Girl in the Emporium - Ricky and Wally get a job at a department store, both hoping to impress the same attractive girl. A Lawnmower For Ozzie - The Adventures of Ozzie and Harriet - S9E11 - A Lawnmower For Ozzie - Ozzie and Ricky break into neighbor Joe Randolphs garage to retrieve a borrowed lawnmower. Davids Almost In-Laws - The Adventures of Ozzie and Harriet - S9E9 - Davids Almost In-Laws - Ozzie and Harriet think David is planning to get married real soon when they get invited to dinner at his galpals house. 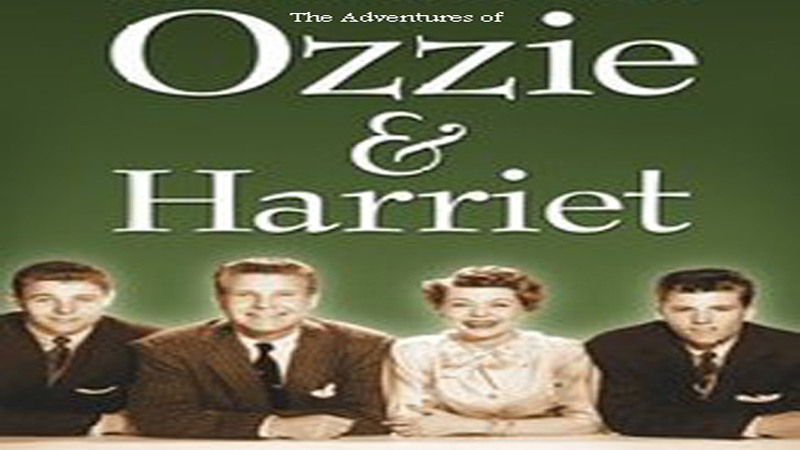 A Friend in Need - The Adventures of Ozzie and Harriet - S9E8 - A Friend in Need - Ozzies friends decide to go play golf instead of helping him fix the plumbing at the Nelson house. A Sweater for Rick - The Adventures of Ozzie and Harriet - S9E7 - A Sweater for Rick - Galpal Joyce begins knitting a sweater for beau Ricky, but it is taking up too much of her time. No News for Harriet - The Adventures of Ozzie and Harriet - S8E31 - No News for Harriet - When Harriet gets disappointed because Ozzie forgot to tell her anything about his day, neighbor Joe Randolph suggests that he make things up. The Circus - The Adventures of Ozzie and Harriet - S8E15 - The Circus - In order to impress an attractive circus worker, David and Ricky put together a trapeze act. Fathers Night at the Fraternity House - The Adventures of Ozzie and Harriet - S8E9 - Fathers Night at the Fraternity House - The guys in the fraternity want a swimming pool, but they dont know how to get their fathers to pay for it. David, the Sleuth - The Adventures of Ozzie and Harriet - S8E7 - David, the Sleuth - David trails a man whom he believes is faking an injury in order to collect insurance money. The Nelsons Decide to Move - The Adventures of Ozzie and Harriet - S8e6 - The Nelsons Decide to Move - Ozzie decides that the family needs to move into an apartment and attempts to convince them to follow his advice. David, the Law Clerk - The Adventures of Ozzie and Harriet - S8E3 - David, the Law Clerk - It seems as though everyone is trying to help David get a job as a law clerk. Little Black Box - The Adventures of Ozzie and Harriet - S7E31 - Little Black Box - Harriet and Clara bet Ozzie that he cannot keep from opening a little black box before the weeks end. Treasurers Son - The Adventures of Ozzie and Harriet - S7E27 - Treasurers Son - After Ricky is elected treasurer of his fraternity, Ozzie gives him advice on financial matters. The Exploding Book - The Adventures of Ozzie and Harriet - S7E21 - The Exploding Book - When David and pal Wally fall for the same gal, Wally tricks David into giving her a gag gift. The Newspaper Interview - The Adventures of Ozzie and Harriet - S7E20 - The Newspaper Interview - The local newspaper chooses Ozzie to be the subject of its Neighbor of the Week column. Jealous Joe Randolph - The Adventures of Ozzie and Harriet - S7E17 - Jealous Joe Randolph - Joe Randolph becomes jealous when he mistakes Ozzie being seen shopping with his wife as a romantic affair. The Motorcycle - The Adventures of Ozzie and Harriet - S7E12 - The Motorcycle - When David takes up motorcycling, a worried Ozzie attempts to talk him out of it. Ricks Riding Lesson - The Adventures of Ozzie and Harriet - S7E8 - Ricks Riding Lesson - Ricky gives an attractive riding instructor guitar lessons in exchange for riding lessons. Stealing Ricks Girl - The Adventures of Ozzie and Harriet - S7E5 - Stealing Ricks Girl - Ricky might lose his best galpal if it means pledging Davids fraternity. A Cruise For Harriet - The Adventures of Ozzie and Harriet - S6E36 - A Cruise For Harriet - Trying to dissuade Ozzie from taking a stag fishing trip, Harriet announces that shes going to take a vacation all by herself. The Bridge Group - The Adventures of Ozzie and Harriet - S6E35 - The Bridge Group - After a new neighbor moves in, the Nelsons decide they are in a rut and should try different things. Old Band Pavilion - The Adventures of Ozzie and Harriet - S6E21 - Old Band Pavilion - Ozzie wants to bring back concerts at the Pavillion in the Park. The Road Race - The Adventures of Ozzie and Harriet - S6E14 - The Road Race - Ozzie puts up a Model T in a race against David and Rickys hot rod. The Trophy - The Adventures of Ozzie and Harriet - S6E13 - The Trophy - Ozzie is determined that the Nelsons will win the cross-country obstacle race being held at his mens club annual picnic. Christmas Tree Lot - The Adventures of Ozzie and Harriet - s6e11 - The boys want to raise money for Christmas presents. They decide on selling Christmas trees, if only they can fund a lot. Tutti-Frutti Ice Cream - The Adventures of Ozzie and Harriet - S6E10 - Dec 11 1957 - Tutti-Frutti Ice Cream - Things get out of hand pretty quickly when Ozzie gets a yen for tuti-fruiti ice cream. Ozzies Triple Banana Surprise - The Adventures of Ozzie and Harriet - S6E8 - Nov 20 1957 - Ozzies Triple Banana Surprise - Ozzie has a strange dream after eating two Triple Banana Surprise sundaes. Free Flowers - The Adventures of Ozzie and Harriet - S6E7 - Nov 13 1957 - Free Flowers - Neighborhood wives are fuming that their hubbies are spending too much time at the bowling alley. Treasurers Report - The Adventures of Ozzie and Harriet - S6E3 - Oct 16 1957 - Treasurers Report - Ozzie uses Rickys tape recorder to spice up things at his mens club. Ricky, the Drummer - The Adventures of Ozzie and Harriet - S5E28 - April 10 1957 - Ricky, the Drummer - Ricky gets his first big show biz break when he sits in as a drummer with a big-name band. The Editor - The Adventures of Ozzie and Harriet - S5E26 - March 27 1957 - The Editor - Harriet is made editor of her womens club newsletter but runs into trouble when she accepts "help" from Ozzie. The Jet Pilot - The Adventures of Ozzie and Harriet - S5E24 - March 13 1957 - The Jet Pilot - Ozzie is awarded a ride in a new Air Force jet plane because of his efforts in getting an Air Force base located in the community. The Reading Room - The Adventures of Ozzie and Harriet - S5E21 - Feb 20 1957 - The Reading Room - Ozzie begins a one man campaign to revive the art of reading. The Borrowed Tuxedo - The Adventures of Ozzie and Harriet - S5E17 - Jan 23 1957 - The Borrowed Tuxedo - As usual, trouble ensues when Ozzie borrows a tuxedo from a neighbor. Hairstyle For Harriet - The Adventures of Ozzie and Harriet - S5E15 - Jan 9 1957 - Hairstyle For Harriet - In order to get new fashion ideas, Harriet decides to attend a beauty show. The Day After Christmas - The Adventures of Ozzie and Harriet - S5E13 - Dec 26 1956 - The Day After Christmas - The Nelsons are puzzled by a late Christmas gift from Grandpa Nelson. The Busy Christmas - The Adventures of Ozzie and Harriet - S5E12 - Dec 19 1956 - The Busy Christmas - Ozzie is tired of the hustle and bustle that Christmas season brings each year and decides that this time he will take it easy. Doctor in the House - The Adventures of Ozzie and Harriet - S5E11 - Dec 12 1956 - Doctor in the House - Doc Williams bunks with the Nelsons while his residence undergoes renovations. Ozzie then begins having aches and pains. The Balloons - The Adventures of Ozzie and Harriet - S5E9 - Nov 28 1956 - The Balloons - Ozzie is faced with the daunting task of inflating 1,000 balloons for Harriets charity affair. David Picks Up The Tab - The Adventures of Ozzie and Harriet - S5E8 - Nov 21 1956 - David Picks Up The Tab - On their anniversary, David takes Ozzie and Harriet to a swanky nightclub. A Beautiful Day - The Adventures of Ozzie and Harriet - S4E23 - April 23 1956 - A Beautiful Day - Ozzies fun day makes a downhill turn when he begins to treat everyone bad. A Day In Bed - The Adventures of Ozzie and Harriet - S4E21 - March 23 1956 - A Day In Bed - Ozzie decides that the best way to avoid the stresses of life is to stay in bed all day. The Car Mix-Up - The Adventures of Ozzie and Harriet - S4E16 - Jan 27 1956 - The Car Mix-Up - Harriet accidentally takes the wrong car home from the supermarket. Volunteer Firemen - The Adventures of Ozzie and Harriet - S4E15 - Jan 20 1956 - Volunteer Firemen - Ozzie decides to join the volunteer firemen, but the training wears him out and he sleeps through the first fire. A Ball of Tinfoil - The Adventures of Ozzie and Harriet - S4E9 - Nov 25 1955 - A Ball of Tinfoil - Ozzies decision to clean the garage causes housekeeping trouble. An Invitation To Dinner - The Adventures of Ozzie and Harriet - S4E4 - Oct 14 1955 - An Invitation To Dinner - Ozzie invites an old friend of his to dinner without telling Harriet. Pajama Game - The Adventures of Ozzie and Harriet - S3E22 - April 1 1955 - Pajama Game - A long night begins when Ozzie becomes involved with a movie in which David was watching on TV. Rickys Blind Date - The Adventures of Ozzie and Harriet - S3E20 - March 18 1955 - Rickys Blind Date - David must find a date for his galpals visiting cousin. He ends up getting little brother Ricky. Individuality - The Adventures of Ozzie and Harriet - S3E14 - Jan 28 1955 - Individuality - Ricky and David each want different decor for their respective bedrooms. The Missing Sandwiches - The Adventures of Ozzie and Harriet - S3E13 - Jan 21 1955 - The Missing Sandwiches - Ozzie and Thorny are entrusted to bring sandwiches and potato salad to a picnic. Big mistake! The Fruitcake - The Adventures of Ozzie and Harriet - S3E11 - Jan 7 1955 - The Fruitcake - The Nelsons discuss the importance of sending out "thank you" notes for the gifts they received. But Ozzie has trouble putting into words how much he appreciated the fruitcake he received from Mr. Thornberry. Odd Bolt - The Adventures of Ozzie and Harriet - S3E8 - Dec 10 1954 - Odd Bolt - Ozzie finds an odd shaped bolt inside a box of junk he keeps in a drawer. When Ricky questions what the bolt belongs to, Ozzie begins a series of fix-it projects in which he believes the bolt had fallen off of. Soon Ozzie becomes obsessed with the bolt. The Usher - The Adventures of Ozzie and Harriet - S3E5 - Nov 12 1954 - The Usher - David is forced to compete with a pal for a job as a theatre usher. A Load Of Gravel - The Adventures of Ozzie and Harriet - S3E4 - Oct 29 1954 - A Load Of Gravel - Thorny orders a load of gravel but it gets dumped by mistake into the Nelsons driveway. The Birds Nest - The Adventures of Ozzie and Harriet - S2E34 - May 7 1954 - The Birds Nest - A leaky drain pipe leads to water damage in the boys room. When Ozzie has a repairman check out the pipe, he discovers a nest of eggs belonging to a robin. Although hed like the pipe fixed, Ozzie is unwilling to move the nest for at least a week so the eggs can hatch. New Neighbor - The Adventures of Ozzie and Harriet - S2E33 - April 30 1954 - New Neighbor - Ozzie recalls the time when Doc Williams moved into the neighborhood and how the two men didnt exactly get off to a flying start in their relationship. An Evening With Hamlet - The Adventures of Ozzie and Harriet - S2E32 - April 23 1954 - An Evening With Hamlet - Ricky and David decide to put on a play of Hamlet. Be on Time - The Adventures of Ozzie and Harriet - S2E31 - April 16 1954 - Be on Time - Ozzie tells the boys the importance of time after Ricky wakes up late for Davids baseball game once again. Over Protection - The Adventures of Ozzie and Harriet - S2E30 - April 9 1954 - Over Protection - A lesson for over protective parents. Father and Son Tournament - The Adventures of Ozzie and Harriet - S2E27 - March 19 1954 - Father and Son Tournament - David and Ricky both want to enter a Father and Son Ping Pong tournament with Ozzie. In order to make it fair, the boys flip a coin to see who will play. The Initiation - The Adventures of Ozzie and Harriet - S2E25 - March 5 1954 - The Initiation - David brings home a pledge for his club, and Ozzie and Harriet both become worried when they find cans of paint and a ladder in the yard, believing that these are to be used in the club initiation. The Insurance Policy - The Adventures of Ozzie and Harriet - S1E13 - Dec 11 1953 - The Insurance Policy - When Harriet loses a sentimental pin, the whole family helps her look for it. The Ladder - The Adventures of Ozzie and Harriet - S1E11 - No 27 1953 - The Ladder - Ozzie and Thorny find themselves stuck on a rooftop without a ladder on which to climb down. The Suggestion Box - The Adventures of Ozzie and Harriet - S1E10 - Nov 20 1953 - The Suggestion Box - The Nelsons decide it would be a great idea to make a suggestion box as a way to get the familys true feelings across. Davids 17th Birthday - The Adventures of Ozzie and Harriet - S1E6 - Oct 23 1953 - Davids 17th Birthday - Its Davids 17th birthday and he makes plans for a date with a girl from Chicago who has dated college guys. The Window Pane - The Adventures of Ozzie and Harriet - S1E4 - October 9 1953 - The Window Pane - A window pane in the Nelson house is broken and Harriet finds herself having to cajole Ozzie into fixing it. The Boys Paper Route - The Adventures of Ozzie and Harriet - S1E3 - The Boys Paper Route - David and Ricky ask permission to work on a newspaper route. The New Chairs - The Adventures of Ozzie and Harriet - S1E1 - Sept 18 1953 - The New Chairs - A pair of chairs arrive at the Nelsons home as a mistake. When Ozzie tries the fix the mix up, it creates further confusion when two more chairs are sent. Oscillating Ozzie - The Adventures of Ozzie and Harriet - S1E39 - Jun 26 1953 - Oscillating Ozzie - Ozzie is stuck in his conservative routine, until he has a chat with the ever-exuberant Emmy Lou. The Plays the Thing - The Adventures of Ozzie and Harriet - S1E35 - May 29 1953 - The Plays the Thing - Ozzie is brimming with enthusiasm about appearing in the PTA pageants play, until he learns that his role is the front end of Robin Hoods horse. The Boxing Matches - The Adventures of Ozzie and Harriet - S1E33 - May 15 1953 - The Boxing Matches - Ozzie gets roped into agreeing to fight Thorny in a boxing exhibition match to be held at tonights Boy Scout rally. Night School - The Adventures of Ozzie and Harriet - S1E31 - May 1 1953 - Night School - Ozzie finds out from Thorny that he is taking adult education courses at the local high school in the evenings. So Ozzie decides to take some classes and Harriet signs up too. Pancake Mix - The Adventures of Ozzie and Harriet - S1E28 - April 10 1953 - Pancake Mix - While eating breakfast, Ricky notices the box of pancake mix has a slogan which guarantees "double your money back if youre not totally satisfied with this product", an idea which Ozzie believes someone should challenge. The Orchid and the Violet - The Adventures of Ozzie and Harriet - S1E27 - April 3 1953 - The Orchid and the Violet - Ozzie heads down to the florist in dirty clothes after having played baseball with the boys. Bowling Alley - The Adventures of Ozzie and Harriet - S1E26 - March 27 1953 - Bowling Alley - Ozzie feigns an illness just to get out of bringing Harriet to the emporium. But Thorny convinces him that they should go bowling. The Traffic Signal - The Adventures of Ozzie and Harriet - S1E21 - feb 20 1953 - Each of the Nelsons believe they are responsible for the addition of a traffic light at a dangerous intersection in the town. Separate Rooms - The Adventures of Ozzie and Harriet - S1E19 - Feb 6 1953 - Separate Rooms - After years of bunking together, David and Ricky finally get their own separate rooms in the Nelson household. Tuba Incident - The Adventures of Ozzie and Harriet - S1E17 - Jan 23 1953 - Ozzie and Harriet differ over an incident in the newspaper concerning a husband and wife who are divorcing over his enjoyment of playing the tuba. The Boys Christmas Money - The Adventures of Ozzie and Harriet - S1E12 - Dec 19 1952 - The boys would like to get a job to earn money for Christmas presents. After a day of failure, Ozzie makes a deal with the local grocer to give them a job as box boys. But when a bad storm brews up, Ozzie gets worried about the boys. Thornys Gift - The Adventures of Ozzie and Harriet - S1E10 - Dec 5th 1952 - Ozzie feels slighted when Thorny forgets to thank him for a gift he had given him. No News for Harriet - The Adventures of Ozzie and Harriet - S1E7 - No News for Harriet - Ozzie bans his friends from "blabbing" to thier wives about his doings. The Ballet - The Adventures of Ozzie and Harriet - s1e6 - Nov. 7 1952 - Ozzie buys a pair of tickets to the ballet for the policemens charity drive as a surprise for Harriet. But when she seems unenthusiastic about the show, Ozzie gives the tickets to Thorny. Halloween Party - The Adventures of Ozzie and Harriet - S1e5 - Oct. 31 1952 - Ozzie and Harriet agree that this year they will not have a Halloween party since the last few have become so routine. But after talking with Thorny, Ozzie decides that if they made all the plans then this years party will be a success. The Fall Guy - The Adventures of Ozzie & Harriet - S01 E04 - Oct 24, 1952 - Ozzie wants to teach David how to be more self-reliant. The Pills - The Adventures of Ozzie and Harriet - s01 e03 - Oct 17, 1952 - The Pills Ozzie goes on a diet. Will pills help Ozzie to beat Thorny in a weight loss contest? Ozzie and Harriet S01 E01 - The Rivals - Ozzie and Harriet S01 E01 - Oct 3, 1952 - The Rivals - David has a rival, and his name is Will Thornberry - his next door neighbor.